Check out all 9 beautiful designs & order as many as you want! Just in time for the cold weather yet they can be worn year round. Wearable Art | Wearable Heart Repairing the World through your Favorite Organization, Institution, School or Mission. 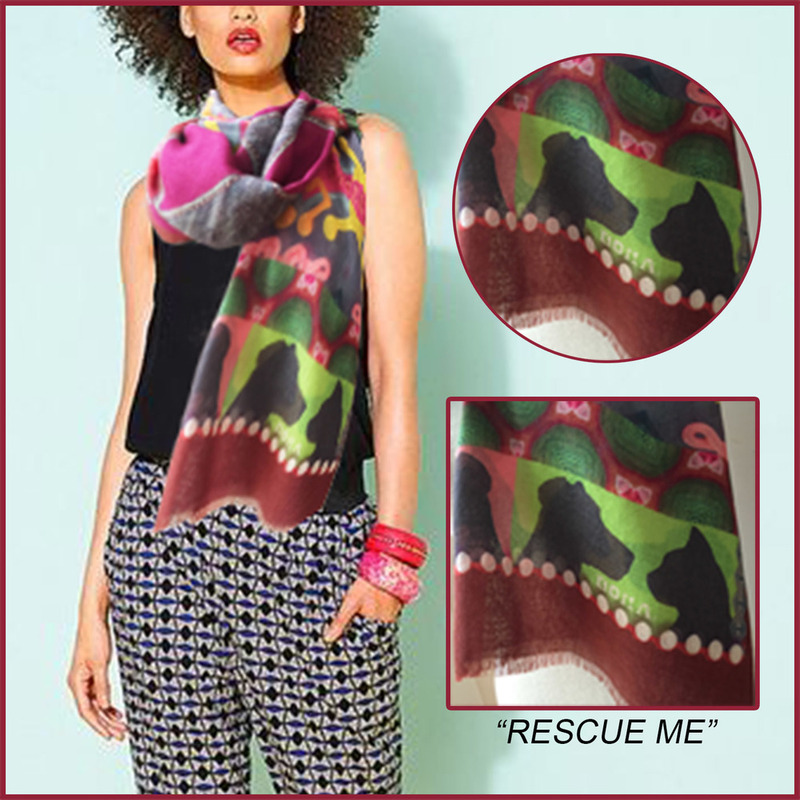 This beautiful 100% silk scarf was created to help fund your favorite organization, institution, school or mission. The colorful design holds interesting symbolism of a meaningful life one that is inspired by tradition. 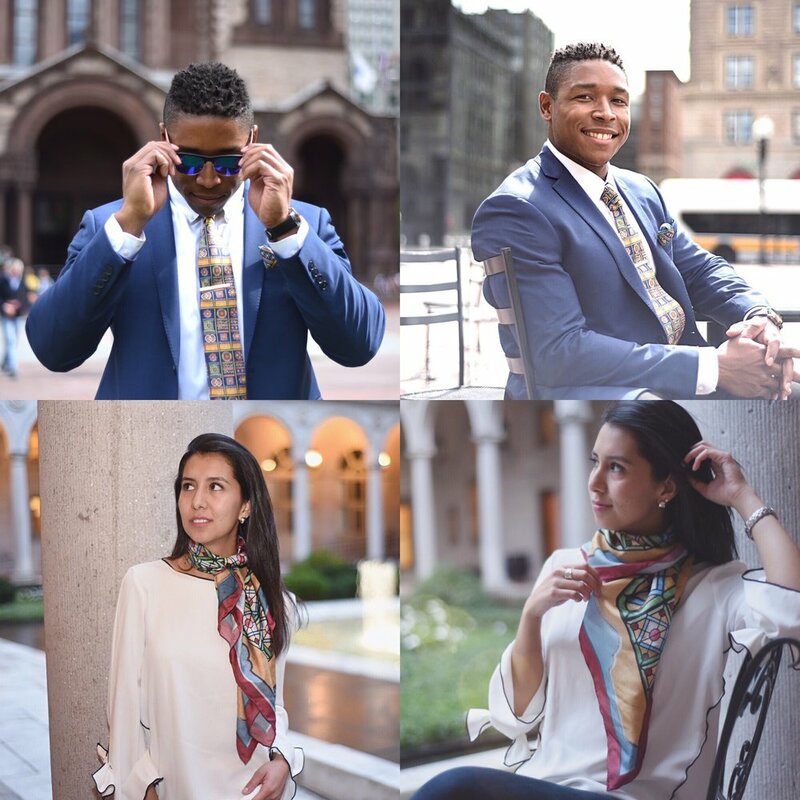 “WE CAN CUSTOM DESIGN THE PERFECT SCARF FOR YOUR ORGANIZATION "
ALSO BOW TIES, NECKTIES AND CUMMERBUNDS FOR WEDDINGS & ALL SPECIAL OCCASIONS. 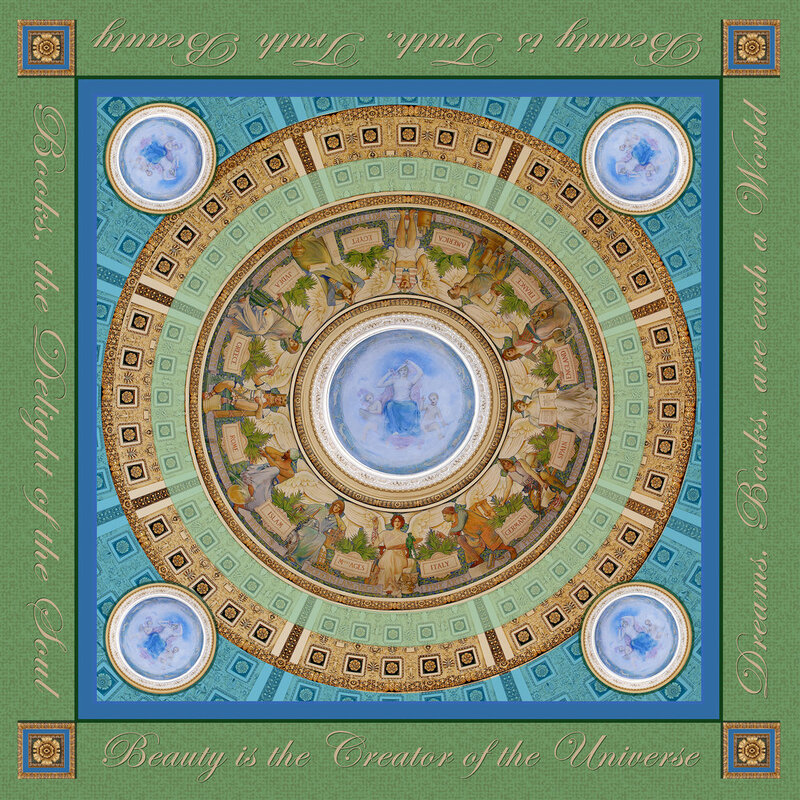 THE MAIN READING ROOM | INTERIOR DOME | LIBRARY OF CONGRESS | AT THE HIGHEST PART IS A BEAUTIFUL FEMALE FIGURE REPRESENTING HUMAN UNDERSTANDING | EACH SIDE OF THIS BEAUTIFUL SCARF HAS A QUOTATION TAKEN FROM THE MANY IN THIS HISTORIC AND SYMBOLIC ART DISPLAYED BUILDING. IT WAS AN HONOR AND PRIVILEGE TO DESIGN THIS WONDERFUL SCARF. 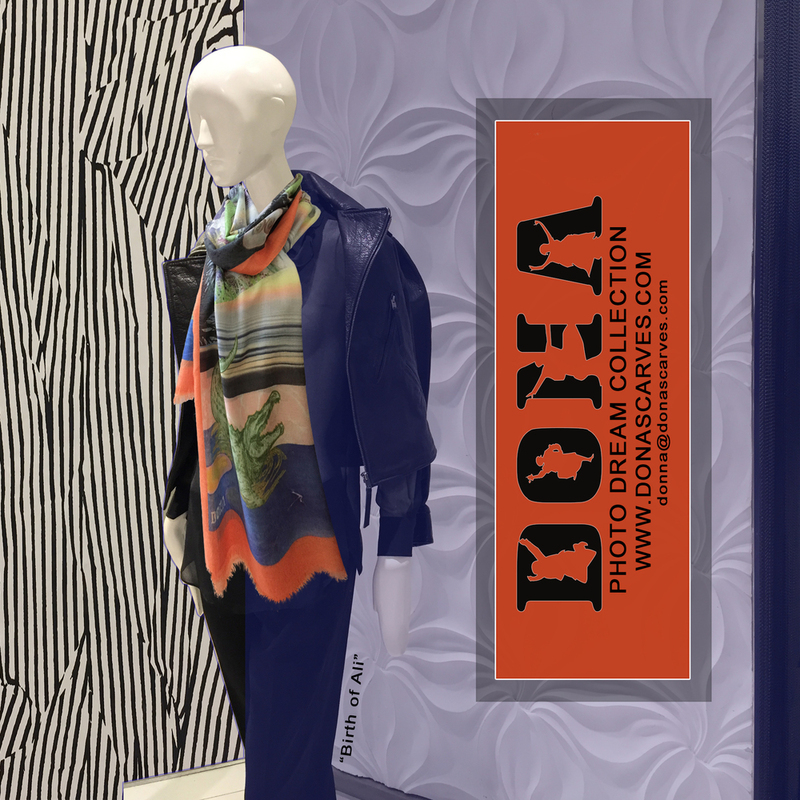 DONA SCARVES is a proud vendor member of MSA and a vendor advisor 2017-2019 for the Florida Chapter of MSA | The Museum Store Association is an International organization with a mission of advancing the nonprofit retail industry and the success of the professionals engaged in it by encouraging high standards of knowledge and professionalism MSA helps nonprofit retail professionals better serve their institutions and the public. 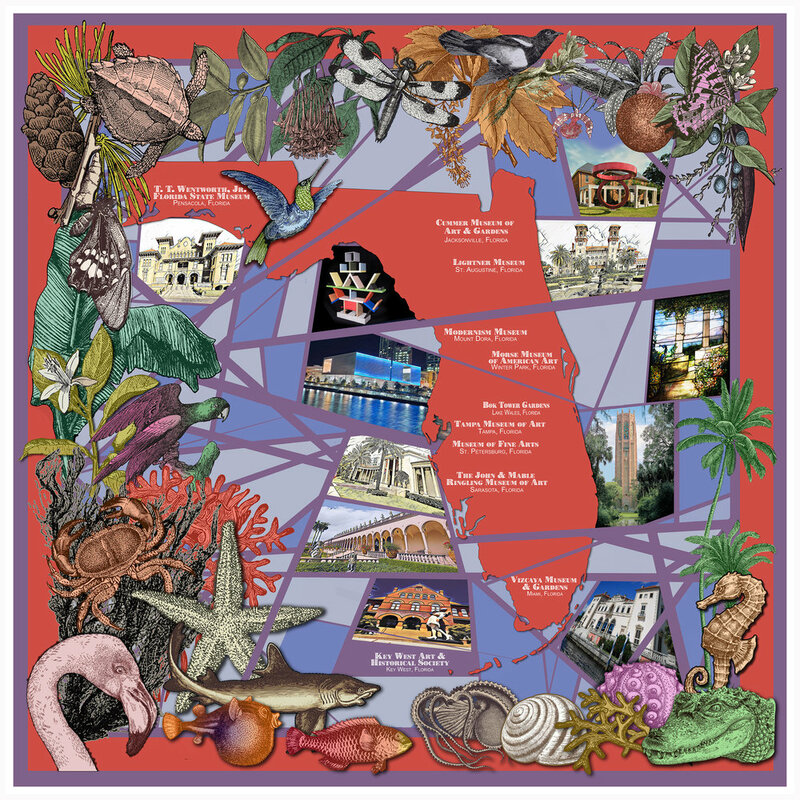 This scarf was designed by DONA SCARVES with the focus to raise awareness of some of the many Museums in Florida while at the same time be sold at the museum stores to raise funds for our Florida Chapter. 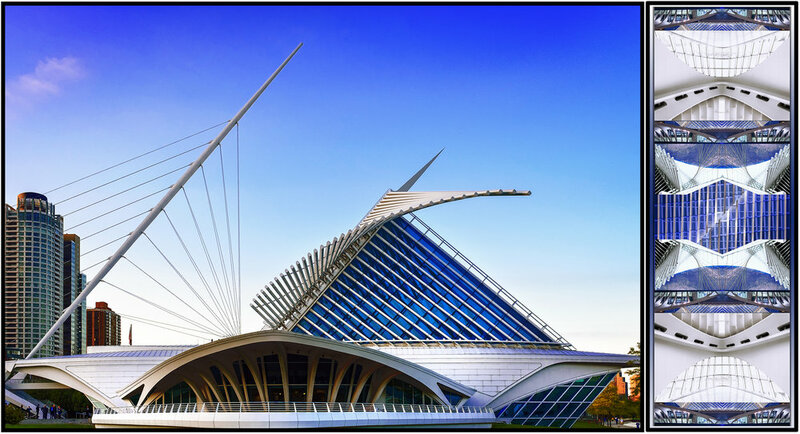 This was a very successful project and helped towards the advancement of professional development for our Florida chapter by sending MSA members to the annual MSA conference. 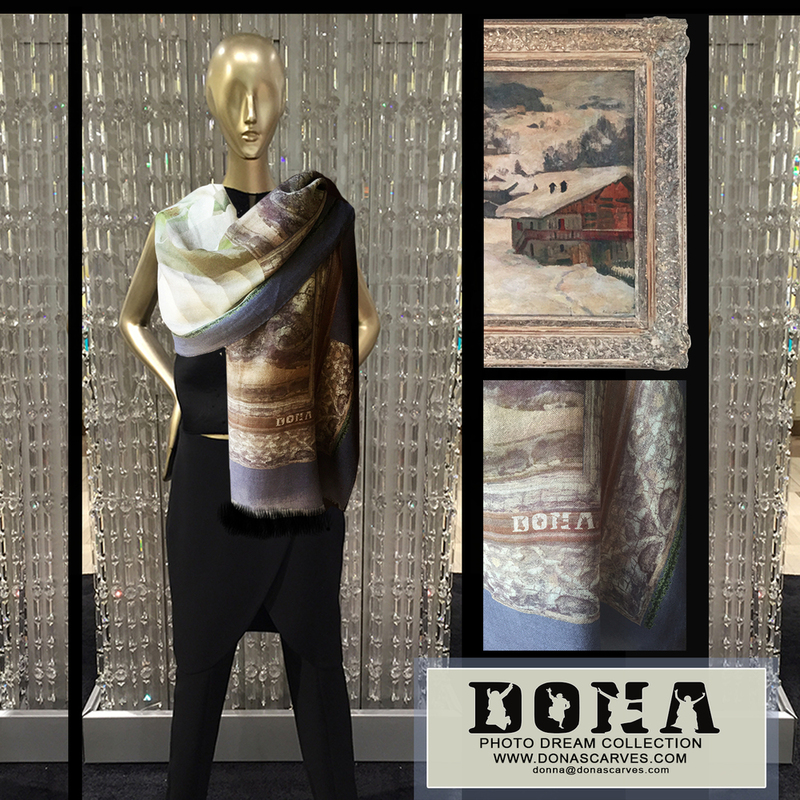 There's a Dona Scarf for everyone, every occasion and every mission . . . Discover the Magic !